Ahead of a huge rally after 17 people died during three days of deadly attacks in Paris, a video emerged appearing to show HyperCacher supermarket attacker, Amedy Coulibaly, pledging allegiance to the so-called Islamic State. Amedy Coulibaly killed four hostages seized at the HyperCacher supermarket on January 9 before being shot dead by police. The four victims will be buried in Israel on January 13. 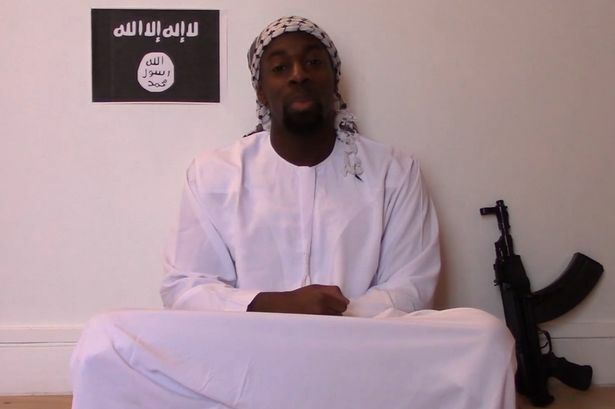 In the 7-minute long clip, Amedy Coulibaly is seen surrounded by weapons and attempts to justify his attack on the Jewish store, in which four hostages died. Amedy Coulibaly was himself killed when police stormed the supermarket on Friday afternoon, but his message appears to have been filmed sometime over the three days in which terror gripped France last week. He is also believed to have shot dead a female police officer in Montrouge on January 8, and has now been linked by prosecutors to the shooting and wounding of a 32-year-old jogger in a park in Fontenay-les-Roses, in south-west Paris, on January 7. Amedy Coulibaly’s girlfriend, Hayat Boumeddiene, is still wanted by police – although she is thought to have fled France last week. Officials believe Hayat Boumeddiene may have entered Turkey en route to Syria.